Creativity, experience, passion and skill are four of the five key ingredients that make a great designer. Having the tools, and the knowledge to effectively use those tools is the final ingredient. The free icon set we have for you today, created by Vecteezy, is a celebration of all those tools designers regularly use and love. There are 20 icons included in the set, and they come in AI, EPS, SVG, PSD and transparent PNG formats. Scroll down for the preview and to download the files. 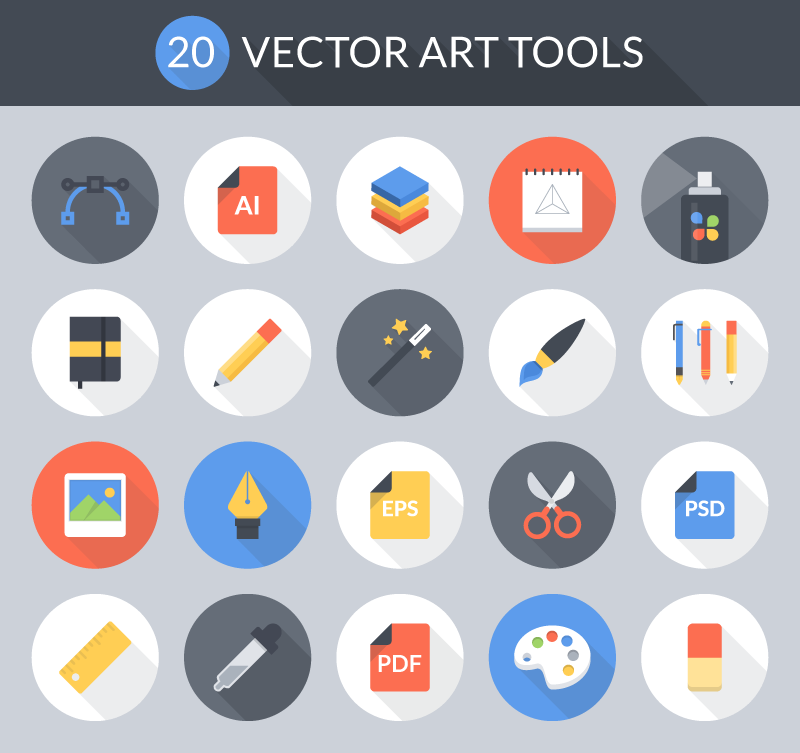 You are free to use this Vector Art Tools Icon Set in both your personal and commercial projects. Just enjoy them.